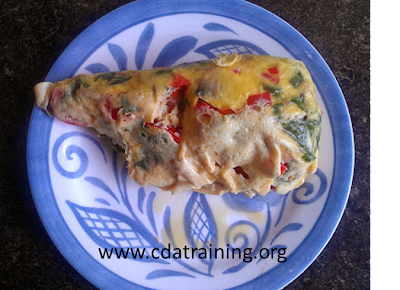 This is a healthy and quick breakfast. 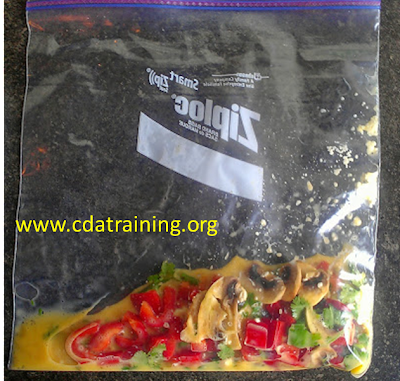 Have the children pick out the vegetables and cheese they would like in their omelets and put the ingredients they choose into each child's own individual Ziploc, freezer bag. 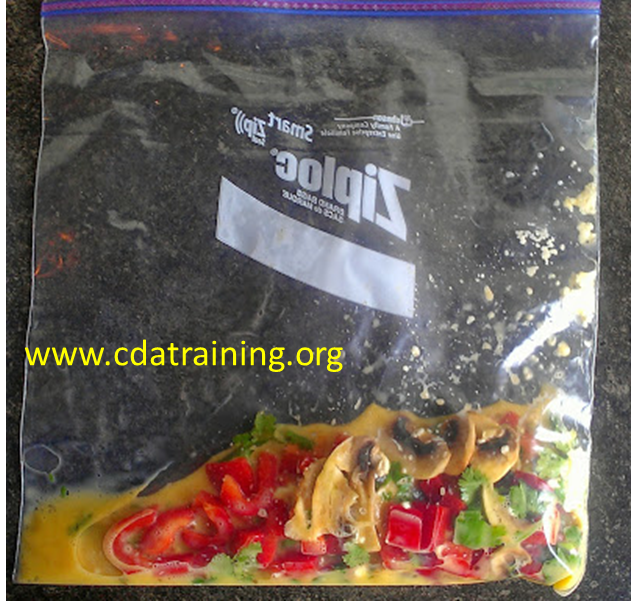 Beat one or two eggs (depending on the age of the child) and pour them into each bag. Place in boiled water for 12 minutes (or longer) until all the egg is cooked thoroughly. Allow the omelet to cool and enjoy!